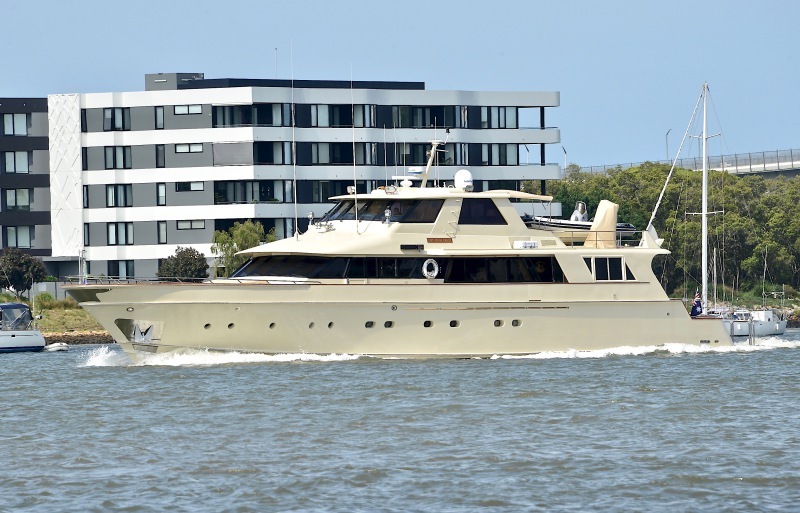 Motor yacht SOUTHERN CROSS II at Brisbane 5 Jan 2018. Built 1983 by Lloyds Ship Holdings, Brisbane, for Mr Alan Bond as the Flagship/support vessel for the Americas Cup campaign in 1983 which Australia won. Vessel is currently for sale.